Looking to invest in Turks and Caicos Islands real estate? An income producing Villa or condo? A vacation home or the land to build your Caribbean dream home? 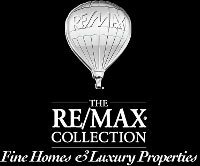 Join those that have looked no further than the RE/MAX Real Estate Group, on Providenciales in the Turks and Caicos Islands. Our established team of real estate professionals are dedicated to providing a secure and comprehensive real estate experience. We are diverse team of Expats and Belongers (Native Turks Islanders), all with substantial knowledge and experience. "I met Blair MacPherson, a real estate straight shooter, in Provo, TCI in 2002 and subsequently bought three units from him in 2004, 2005 and 2006. He definitely knows the island of Provo inside and out and would be a valuable asset to any potential buyer. His integrity and experience will save both time and money for any buyer." Ed Iverson, CEO, Chucking Machine Products, Inc.